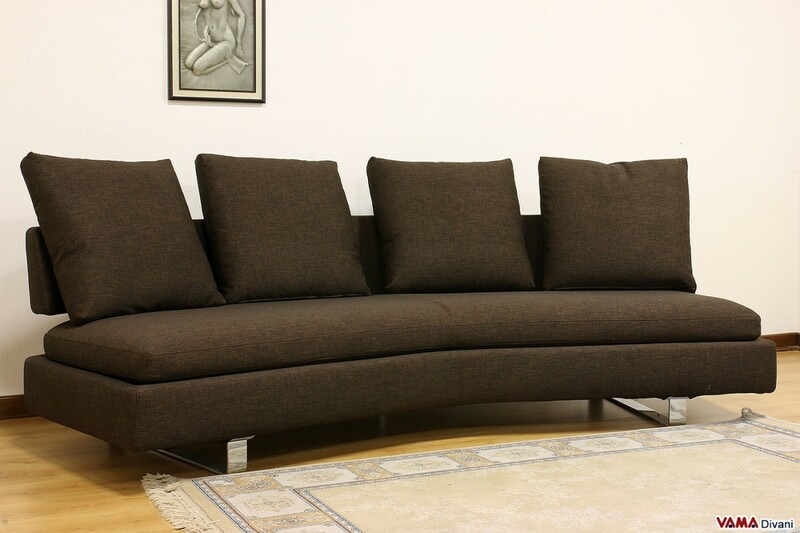 Contemporary sofa characterised by an exclusive style, Venere features a very original design, with a slightly curved structure, high and unusual arms, comfortable and soft cushions on its back and a polished steel sled base. 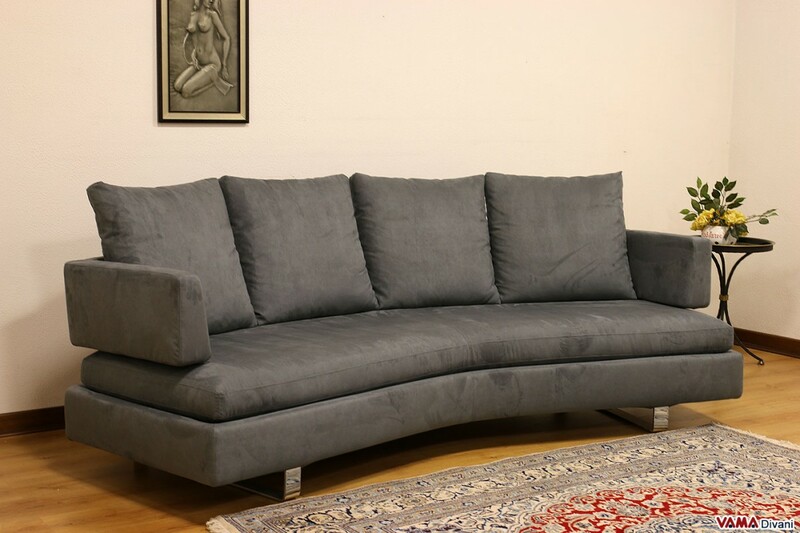 Padded with soft materials such as goose down and synthetic fibres (but also available in polyurethane foam), the Venere curved sofa may be required in any custom size and it presents a completely removable cover, so its lining can be cleaned in a very easy way. 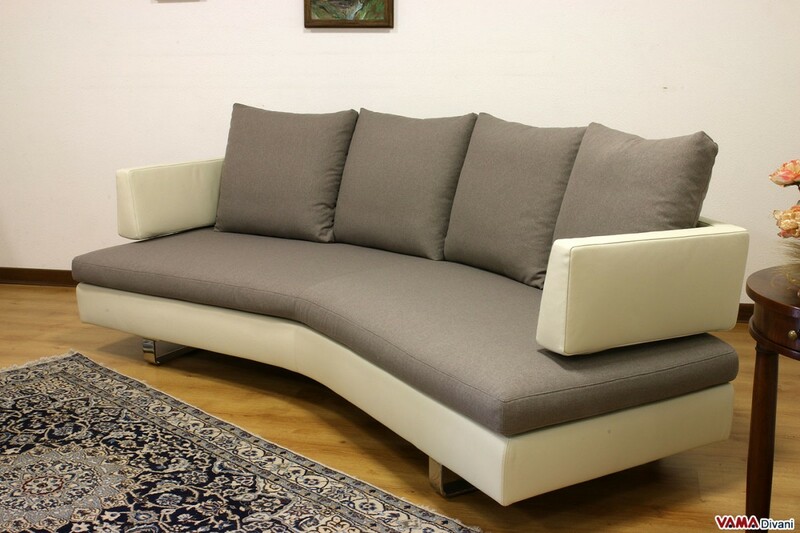 Venere is a very eye-catching fabric sofa characterised by a really futuristic style, perfect for those who want to recreate a minimalist design by a strong personality. 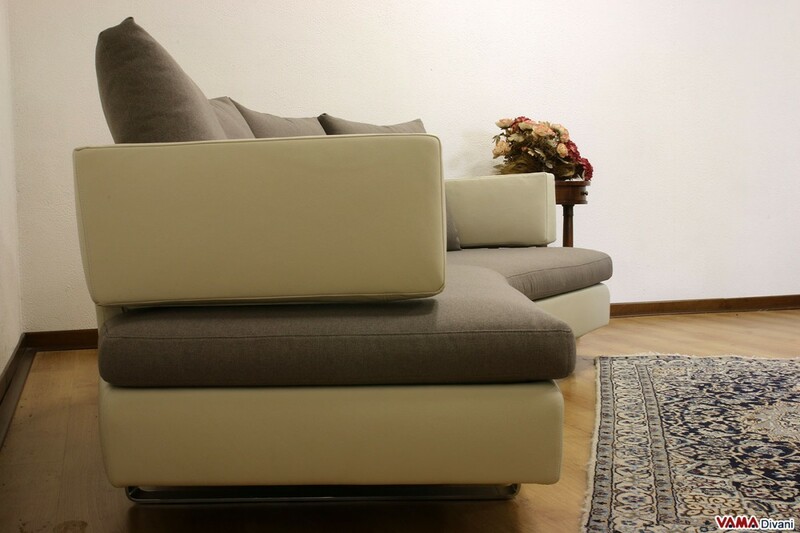 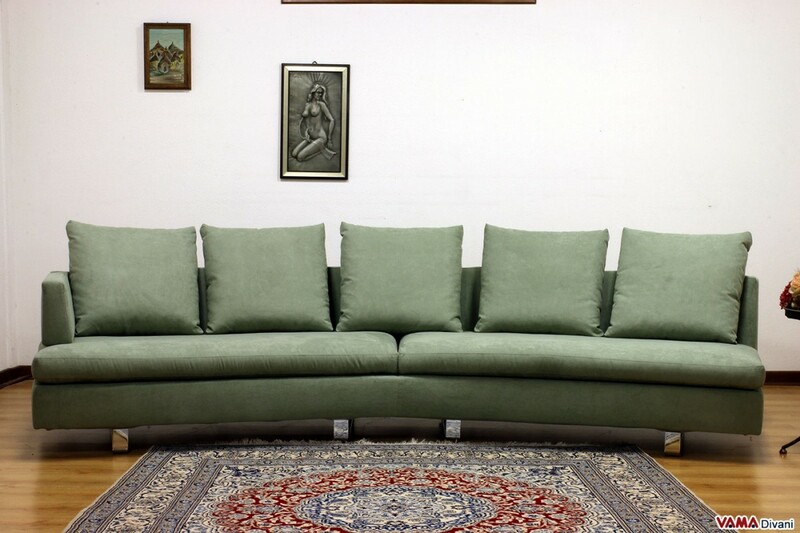 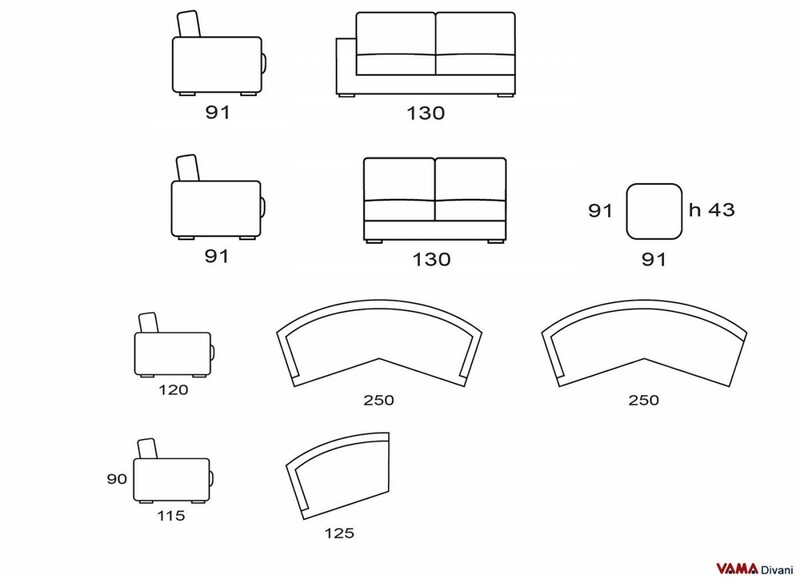 The structure of the Venere contemporary sofa, in fact, is unique and exclusive: its frame, first of all, is slightly curved, its side arms are high and squared, its back is composed of large and fluffy cushions laid on a solid support, while for its feet, this so particular sofa presents two beautiful sled bases, made of polished steel. 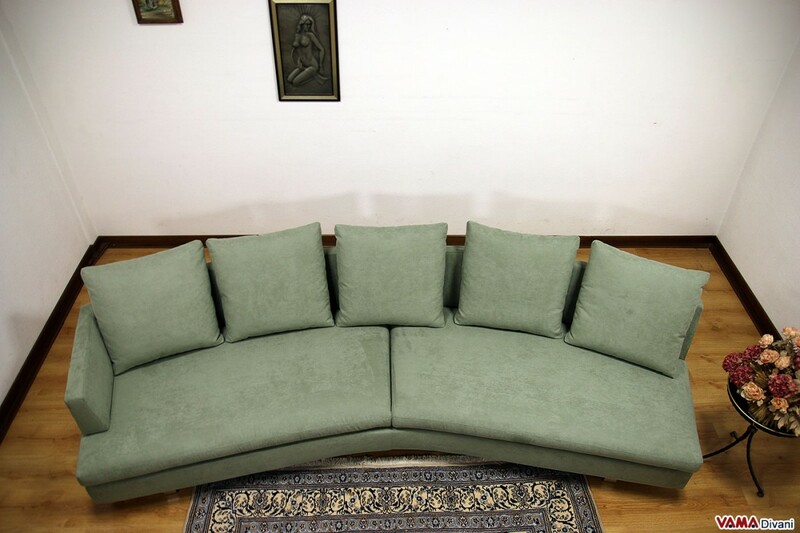 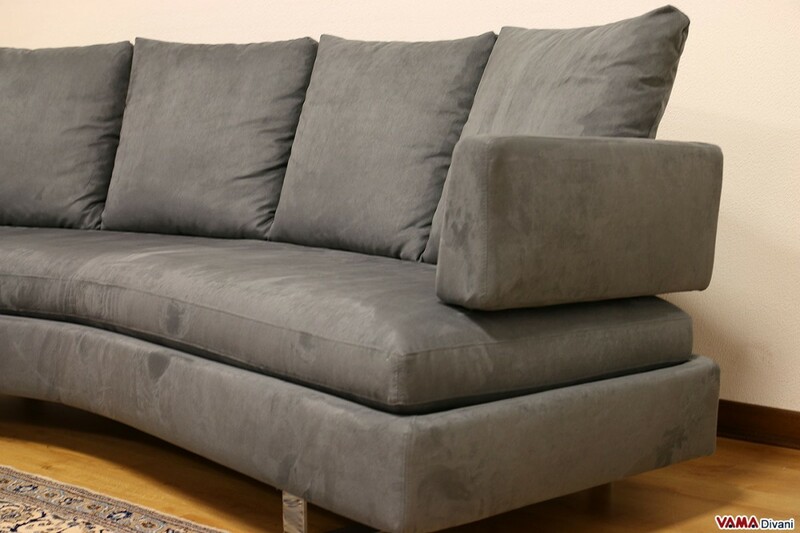 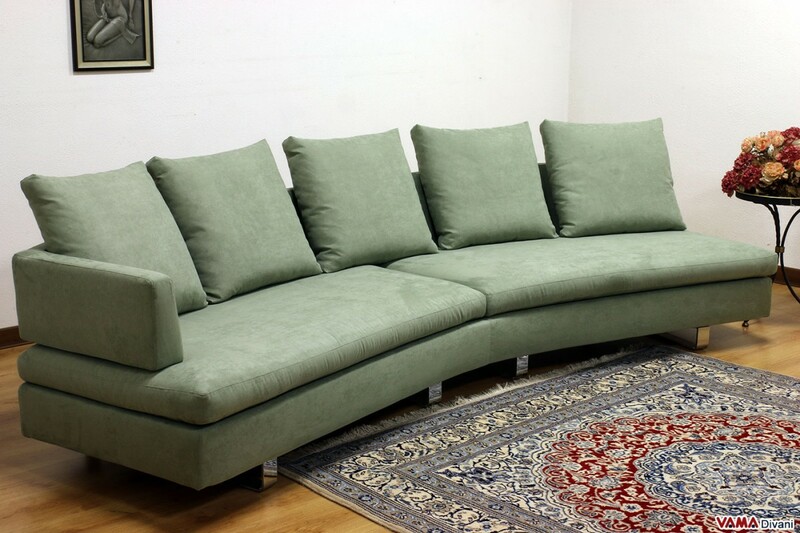 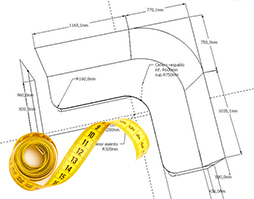 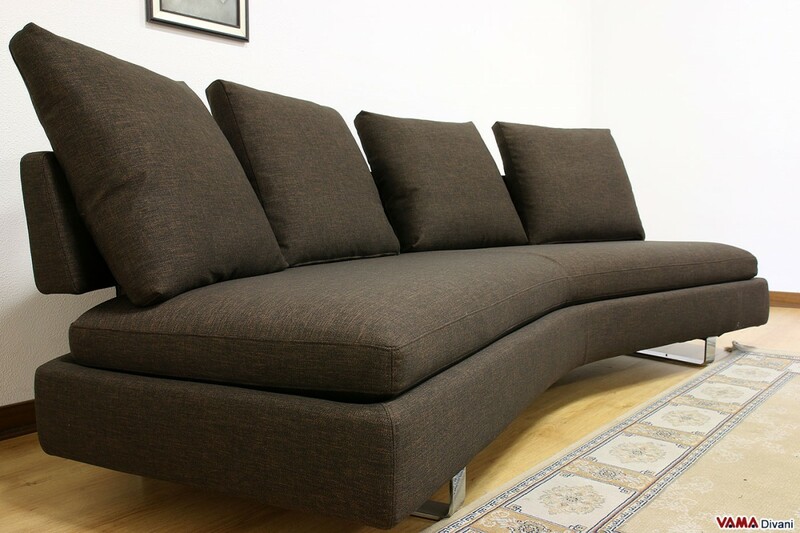 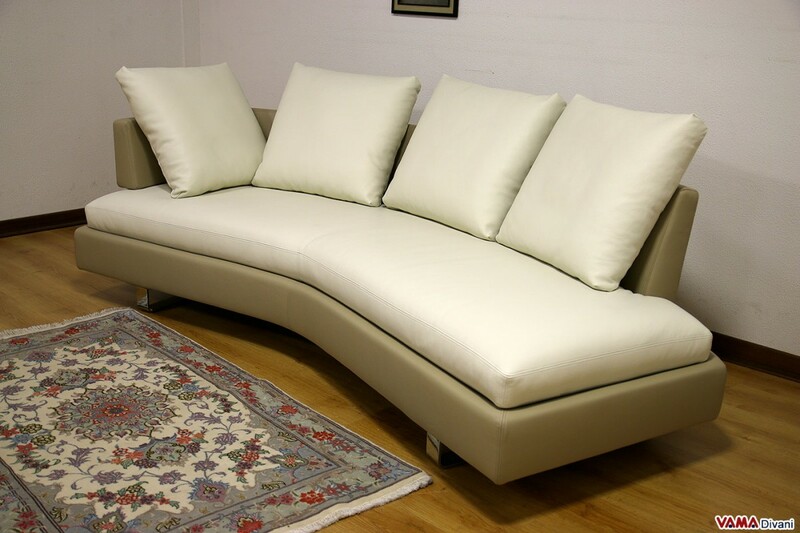 It is a sofa with a fully removable cover, therefore, the fabric that composes its upholstery, as well as the cushion covers, can be separated from its padding in a few seconds and then easily washed in your washing machine, just as they were your clothing. 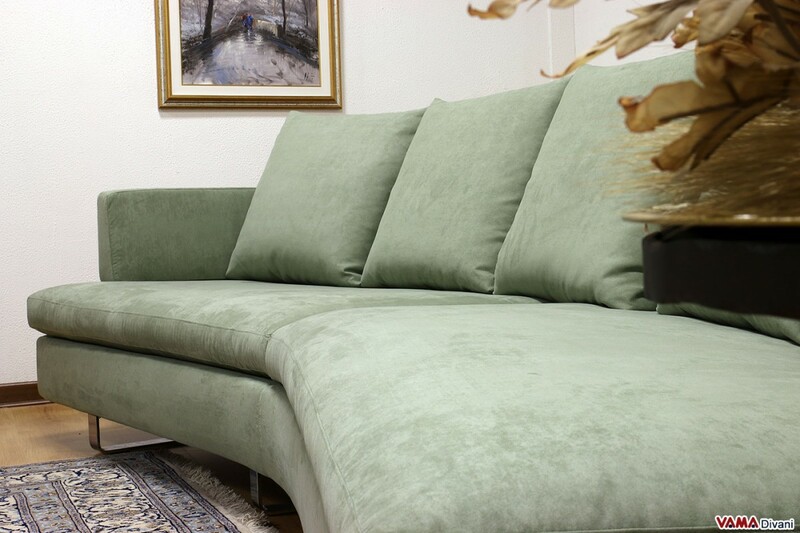 Its padding is made of a fine blend of materials, such as goose down and synthetic fibres; if you prefer, however, it can be realised in polyurethane foam by VAMA Divani. 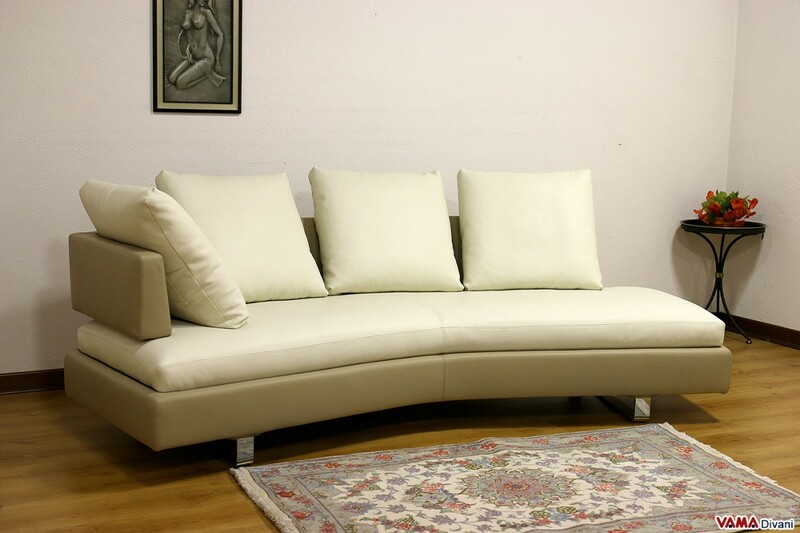 Although this is a very unusual and original model, Venere still guarantees a great level of comfort thanks to its ergonomic frame and the quality of materials used. 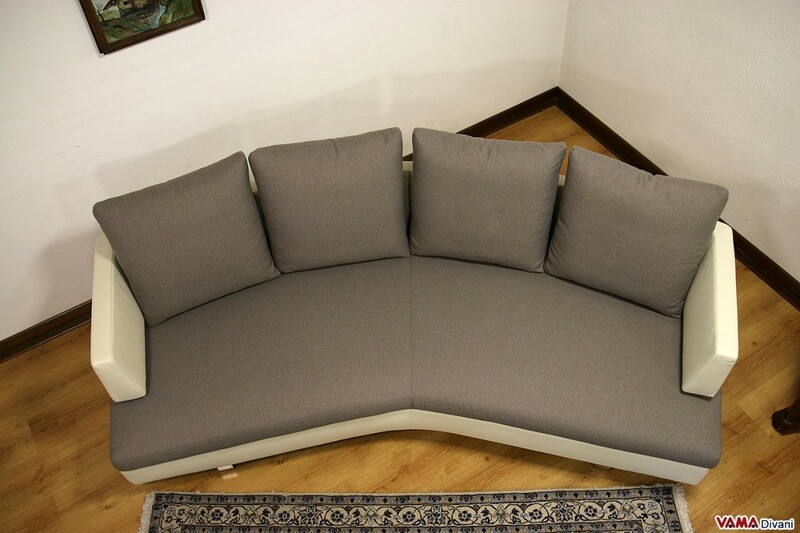 Even this beautiful contemporary sofa can be customised in any size, and with many different details.